At August 10th Spaarnwoude will be filled with the best Latin House grooves on the 10th anniversary of Latin Village. Throughout the day the best house and latin house tracks will be played by the most grooviest and houseful artists of the moment. Latin Village booked the crÃ¨me de la creme for this event with names like D-Rashid, Gregor Salto, Mastiksoul, Roul and Doors and Praia del Sol. A birthday also comes with a present and this 2CD compilation is one for sure. 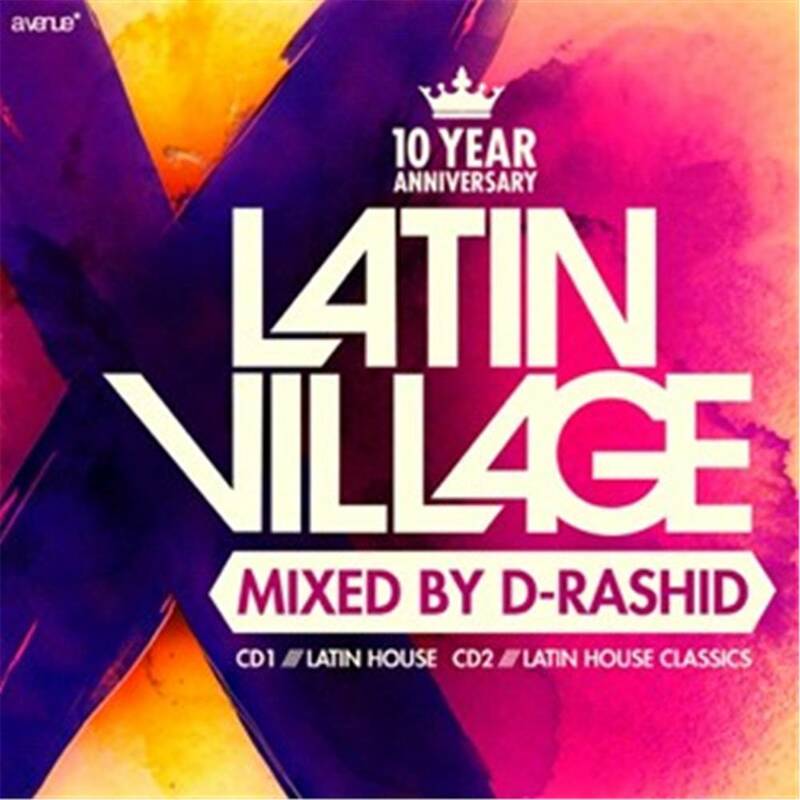 As expected this compilation is mixed by Mr. Latin Village himself: D-Rashid. CD1 is filled with latest and best Latin House tracks of this moment, with tracks like Para Voce from Gregor Salto Feat. Curio Capoeira, Dinda 2014 from D-Rashid feat. Lilian Vieira and the Mastiksoul Remix of "I Like To Move it ' by Reel 2 Real feat. The Mad Stuntman. This compilation is off to a great start. CD2 shows an overview of the greatest Latin House tracks of the past 10 years. The best and biggest Latin House classics are summarized on this disc with tracks like Guitarra G by G Club Presents Banda Sonora, Mas Que Nada by Gregor Salto Feat. Helena Mendes and Pasilda (Knee Deep Remix) from Afro Medusa. This is an incredible overview of the biggest Latin classics and an amazing CD box to get through your summer.